With this year’s British Formula 3 season now a mere memory, SRO Motorsport yesterday announced the provisional calendar for 2012. After beginning this year at historic Monza in April, 2012’s opener reverts to Oulton Park for its now famous Easter weekend racing festival, with the Italian trip following one week later. There follows a month gap, after which the series makes its way to south west France for the legendary Grand Prix de Pau – a round that may find itself part of the FIA Formula 3 International Trophy once again – however the French adventure comes at the expense of the Nurburgring. Pau will represent the championship’s first street course event for several years. Rockingham moves from September to a May date, while the round at Brands Hatch remains in June. 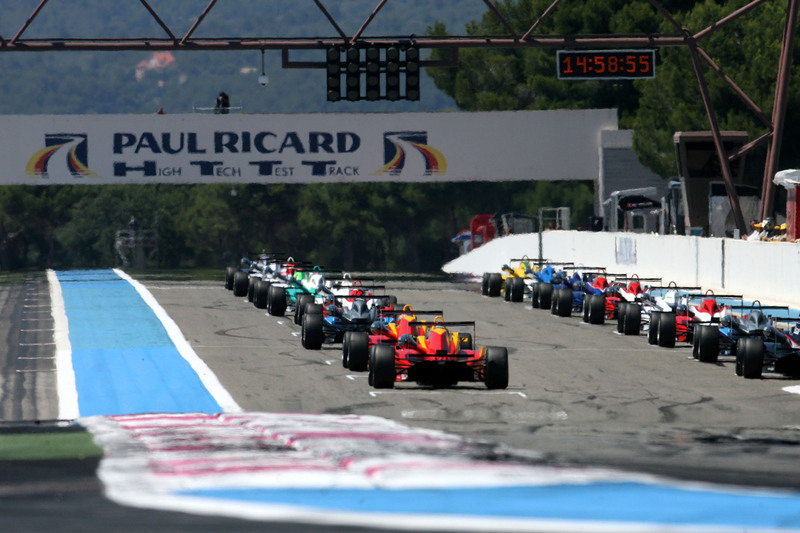 Paul Ricard moves to the final weekend in June/start of July; however that will only be a precursor to the stellar 24 Hours of Spa some four weeks later. The final three rounds take place first at Snetterton (August), with Silverstone and Donington closing the season come the end of September. While the British rounds will be very much supporting the growing British GT Championship, SRO has confirmed that the British Formula 3 Series will act as a primary support for the Blancpain Endurance Series at Monza, Paul Ricard and Spa-Francorchamps, with Pau most likely acting as a stand-alone event. As with the past two seasons, each meeting consists of three races, lasting thirty minutes (race 1) and twenty minutes (race 2), while the final event measures in at forty minutes. The sole exception will be the Grand Prix de Pau, which will see a dual race format, lasting 30 minutes and 40 minutes respectively. In a change from previous seasons, full points will now be awarded for race two, where previously half-points were the offering, with the reverse grid format extending to include the top twelve finishers from the opening event. Pitstops for specific events are also being muted. New cars for the International Class now sees a greater potential for expansion of the Rookie division, with multiple variations of the old Dallara F308 chassis now available for the junior pilots of tomorrow. A full test day with an International Class squad will be the reward for the Rookie Class champion.